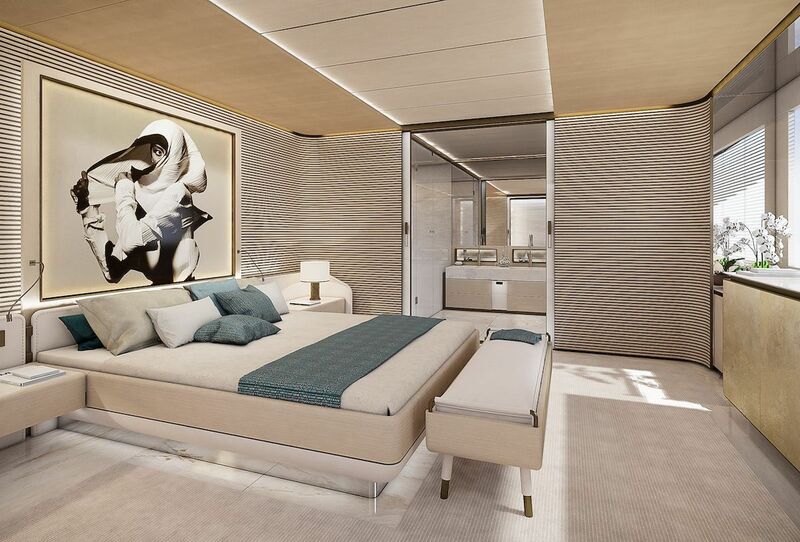 Hot Lab’s interior design for 54m Project 10231 with exterior lines by Horacio Bozzo is their first collaboration with Baglietto to go into production. 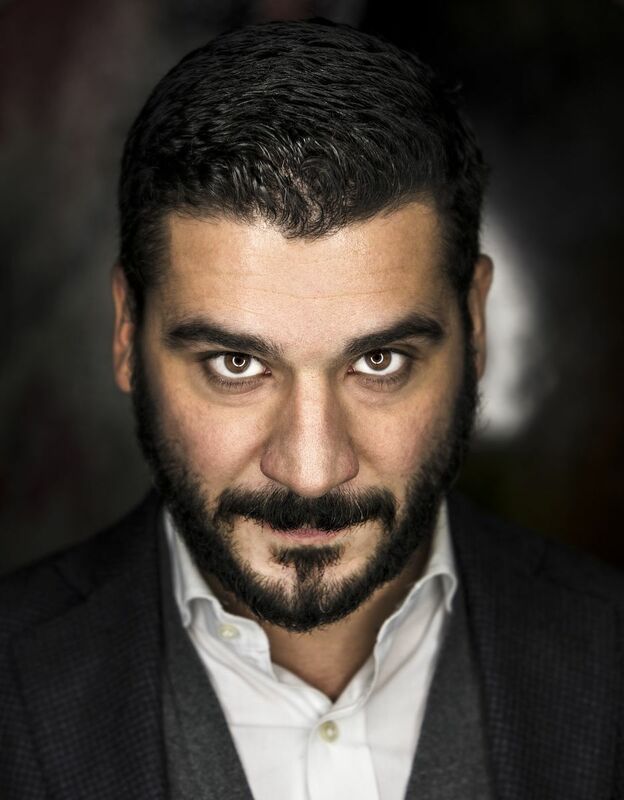 We talk with Enrico Lumini, founding partner of the Milan-based studio, about how the interior concept developed. What was the clients’ brief for the interior design? Our first meeting with the owners was in the summer of 2017 when they were holidaying in Italy. Their requirements revolved around the fact that they spend a lot of time on board and like to cruise as a large family – three generations, in fact, with more on the way. So the layout and design had to be practical, flexible and take into account the needs of both the eldest and youngest family members. Can you give us some examples of this flexibility? The huge beach club and the main salon are the main family areas during the day. The two round dining tables in the salon can be used for more intimate dining, or joined together to provide seating for 14 people. The whole area is set up for relaxed, buffet dining, because family members come and go at different times during the day. 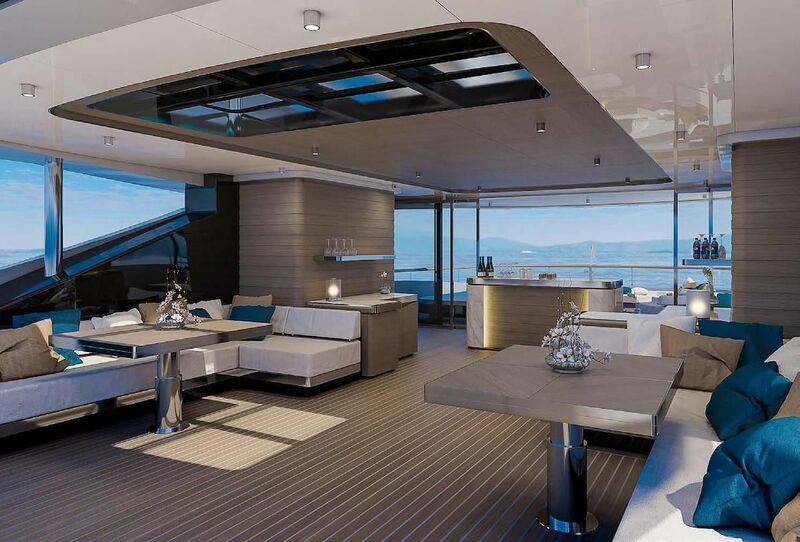 The furniture and fabrics had to be hard wearing and kid-proof, as the children might come in straight from the pool on the aft deck and the owners don’t want to be refitting the interior after just a couple of years. We have some leather on board, but it tends to wear quickly and the loose furniture woven upholstery in the main salon is by Tribù and designed for interior or exterior use. The master stateroom, guest suites and the upper deck lounge are more refined and adult oriented, but the focus is still on form that follows function. In the sky lounge the free standing furniture is by Flexform and we have a 65” TV in the sky lounge for the grown ups, but there’s also a 120” projector screen that drops down from the ceiling to turn the space into a cinema room for all the family. What were the owners’ preferences in terms of materials and colours? They like warm, natural tones and a modern, architectural style that appeals to the varying tastes of the different family generations. The main veneers are Tai wood and pale oak, which are combined with off-white lacquered surfaces. The tones are mostly beige, sand or stone, but we’ve added splashes of colour with turquoise soft furnishings. A subtle detail is the Gold Fantasy marble chosen for the vertical services in the bathrooms and lobby, which is like Calacatta marble but with rich, rust-coloured veining. The same stone set into the floor provides a frame around the beds that is reflected in the polished stainless steel pedestals. A distinctive feature is the use of curved veneers for the walls, which flow around the corners and engine room ventilation shafts in the main salon. In the cabins we took the feature a step further with horizontal slats of oak on Tai wood that add aesthetic interest and break up the bulkhead surfaces, but also help to dissipate sound. And what about the exterior spaces? 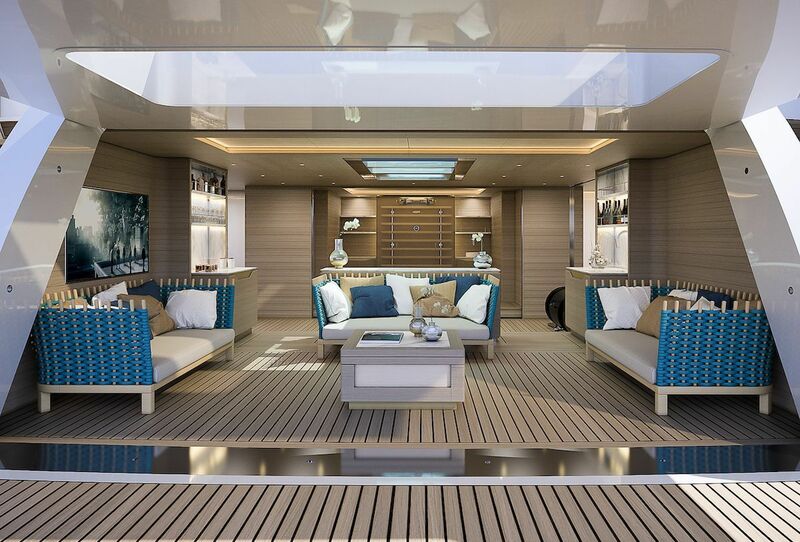 We’ve noticed a general trend to bring the deck furniture on yachts more in line with the interior décor – hence our choice of Tribù products – and there is a very clear connection between the exterior and interior style. 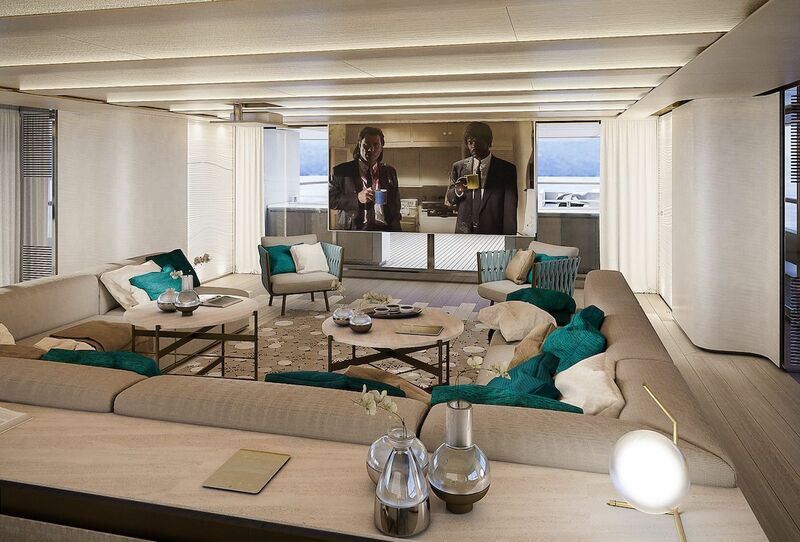 The two pools on the sundeck and main deck aft have a combined capacity of around 10 tonnes – a huge amount for the size of the yacht. To reduce their mass and make them appear as transparent as possible, they are completely enclosed in a double layer of glass with the overflow drains in between. The pool on the main deck aft has a glass bottom to illuminate the beach club below. The sundeck is another study in how to introduce multi- functionality into single space. Sliding glass doors under the hardtop can either be left open, or closed to act as a windbreak and create two separate areas. 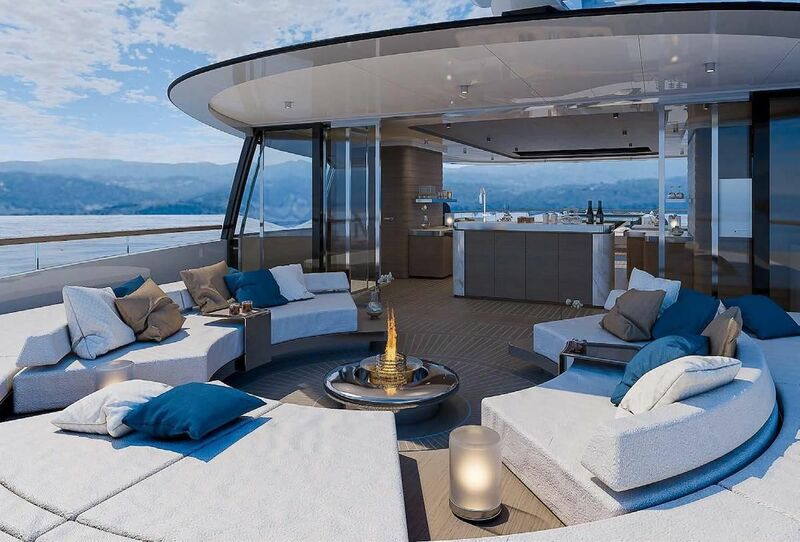 In this way, the kids can throw a party around the pool while the adults chill out around the fire pit on the aft deck.